Lagos Governor Akinwunmi Ambode announced on Wednesday that he was ready to join the primaries on Saturday, when members of the All Progressive Congress (APC) announced that he would be the party's standard-bearer by direct primaries. 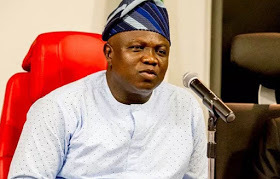 Ambode wants to deal with Lagos APC airport, former Lagos commissioner for operations, education and pensions, Babajide Sanwo-Olu, and former Lagos Construction and Infrastructure Officer Obafemi Hamzat. In a Statement by the Information and Strategy Commissioner, Kehinde Bamigbetan, the governor stated that he was willing to act in accordance with the Board of Governors (GAC).